The Anti-Corruption Front called on the government to investigate on a financial scam involving USD 750,000 (exceeding Rs. 100 million) in an SFIDA fixed deposit account in the Bank of Ceylon. Front Director Board Member J. A. Wickramasinghe said it has complained this matter to the Commission to Investigate Allegations of Bribery and Corruption, PRECIFAC and FCID, but there was no progress in relation to the investigations. He noted the complaint was made by the Anti-Corruption Front on May 21. "The complaint was regarding a fraudulent transaction of money in the account number 073775973 to an account owned by 'Aegis Capital Enterprises' without the knowledge of the account holder. The account holder named Manohar Alexender had received USD 750,000 by a lottery drawn in Dubai and he had opened the account on September 14, 2012 for a period of three years maturing on September 14, 2015. He is currently living in Canada. "He had repeatedly asked from then BoC Chairman Harsha Abeywickrama and former Central Bank Governor Ajith Nivard Cabraal to look into this unauthorized transaction of money in his account, but had got no response," he explained. Wickramasinghe asked the investigating bodies to look into this matter without further delay. "If the government intervened to meet the justice for Golden Key depositors, why not pay attention to this matter involving a state bank?" he asked. The Bank had broke and closed Alexender's fixed deposit account purely on bogus email instructions from Nigeria and wired his funds to a third party account in Nevada, USA. The CID report revealed the account holder's funds were further transferred to an account in China. The Bank had corresponded with the fraudsters via an email address not registered with the bank nor belonging to the account holder. All of this transpired without Alexander's consent, approval and knowledge. All correspondence with the scammer was purely on emails and original instructions were not requested by the BoC. This is scary....very, very scary and all depositors in local currency or FC must take note of this matter in a extremely serious manner or this government entity will turn out into another "Golden Key" I myself have a small saving in the bank and am now in doubt of the trust I have placed on this bank. 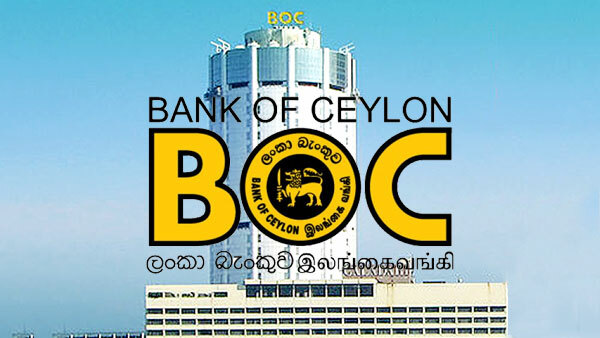 Depositors to consider the risk factor when depositing in Bank of Ceylon. Bank of Ceylon's ratings are to be reduced. FITCH and other rating agencies are to look into the BOC's protocols and violations. Customers are to be extremely careful with their deposits. Senior Managers and officers have been interdicted for many unauthorized transactions. ......NO 1 State Bank ????? ?